While Japan or Korea always come to mind when asked about the best instant noodles, Hong Kong also has a good variety of unique instant noodles that we can’t find in Singapore! If you admire the city’s unique blend of East and West cultures, then Nissin Demae Iccho’s instant version of the popular macaroni soup dish served in a typical Hong Kong char-chan-teng, is your best option! Available in 4 flavours – Tonkotsu, Sesame Oil Chicken, Seafood, and Mix Vegetables, this fast and convenient instant macaroni would a perfect, hearty stay-home meal! 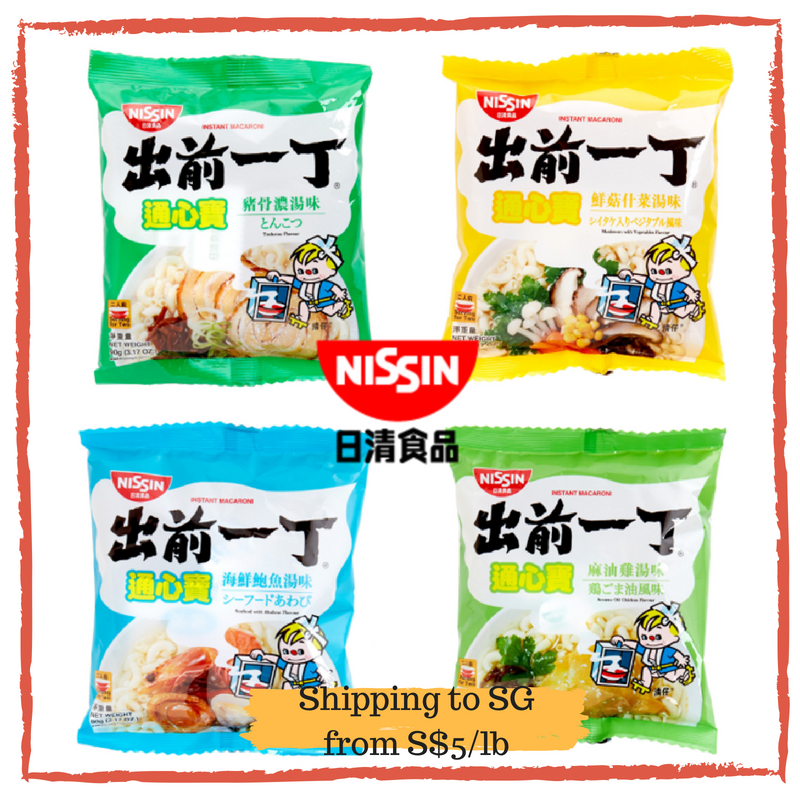 You can shop Nissin Demae Iccho Instant Macaroni from hktvmall.com, alongside many other Hong Kong grocery products. Local shipping within Hong Kong is free for orders over HKD $400. Sign up with us and get access to our Hong Kong warehouse!